If you’ve spent any time on Facebook, Twitter, or for that matter in comment sections, you’ve probably seen them. The people who virulently hate wind energy. The irrational ones who ignore the clear science that shows that it’s perfectly healthy, that windows and cats kill orders of magnitude more birds, and who refuse to accept the evidence from around the world that it’s cheap and easy to integrate into grids. Often they are global warming deniers as well. But who you won’t see are wind farm developers or their representatives. They manage billions of dollars of investment and multi-year approval and construction schedules, but communication through one of the new channels of this century is given short shrift. At least, that’s how it seems anecdotally. Then along came Tigercomm, founded by Mike Casey, a veteran cleantech communicator with significant Washington experience. Tigercomm recently looked at the disparity between social media sales strategies and social license strategies in major corporations and decided to gather some data. What they found strongly supports the online mismatch between pro- and anti-wind forces. Tigercomm looked at the 10 biggest independent power producers, including firms such as E.ON, EDF, NextEra, and Pattern. They inventoried the digital tools that the firms used over the months and years of a wind farm development project. They interviewed communications professionals from 7 of the companies. In every case, there were organized anti-wind forces opposing the producers’ projects. On the other side, however, 7 of the 10 companies had no Facebook page for their wind energy projects and one didn’t even have a corporate Facebook site. Only 2 were doing anything on Twitter, and in one case, that was only announcing the project plan. CleanTechnica reached out to professionals in social license and communication who spend a great deal of time and energy in the cleantech space to see if their experience matched Tigercomm’s findings. Peter Kelley, Managing Partner of RenewComm and former Vice President of Public Affairs at the American Wind Energy Association, agreed about the disparity of online activity but held out hope. It’s all too easy to recirculate fake news about wind energy on Facebook. There’s a small group of people who do it from the time they get up in the morning to the time they go to bed. But there are certainly bright spots, like ‘Electric Nation: Powered by Wind.’ Several wind companies got together to encourage wind supporters to get off the sidelines. They worked with the Wind Solar Alliance to foster an online community, which now has 188,000 followers on Facebook. John Davies is the CEO of Davies Public Affairs, leading a team of experts in building social license for development projects. He agreed that developers had abdicated the social media space to opponents. It is understandable as social and digital media for anything controversial demands constant attention. First, you have to build a following of supporters and then you must police the comments until the supporters stand up for wind and chase the anti-trolls away. It can get ugly and it’s no fun but is necessary. Our public opinion research around the nation finds nearly 7 of 10 citizens throughout the United States in favor or wind, yet the anti groups are bolder and have been able to dominate the discussion making approvals harder and harder. Every one of the IPP respondents agreed that community acceptance is now harder to secure than it was just a few years ago. “All the easy projects are done,” said one. Some companies have stepped up to do a better job of telling stories about the people involved and the stakes for communities in getting a wind farm. For example Apex Clean Energy, a major wind and solar developer out of Charlottesville, Va., has made some of the most watchable short videos about renewables for its outreach on Facebook. As some people will remember, I used to toil in the trenches of wind farm social license. I ran the Barnard on Wind blog, which like the Skeptical Science site for global warming, maintained a list of the anti-wind arguments and carefully debunked them. As Senior Fellow – Wind for the Washington-based Energy and Policy Institute, I analyzed global lawsuits against wind energy on health grounds, finding that judges globally agreed with the evidence finding no linkage. But it was pro bono. My role had me traveling globally, and I couldn’t volunteer in the ways most people can, so I donated my time to this good cause. That’s not a sustainable model for the global wind industry, nor was it sustainable for me. New technology and new businesses hold out hope. Twitter bots exist for good and evil. Just as there are Russian bots spreading fake news, there are bots which respond with carefully selected and edited reality. It’s possible to build social media responses with mixtures of professionals and automation now, and to respond without rancor to disinformation campaigns. There are social-media savvy firms which know how to mobilize effective pro-development efforts on Twitter, Facebook, and Instagram. 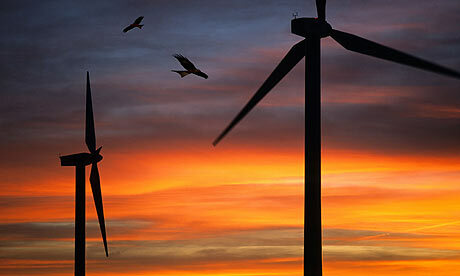 But more wind development firms have to realize the need to do so. As Tigercomm’s study shows, that’s generally not the case.